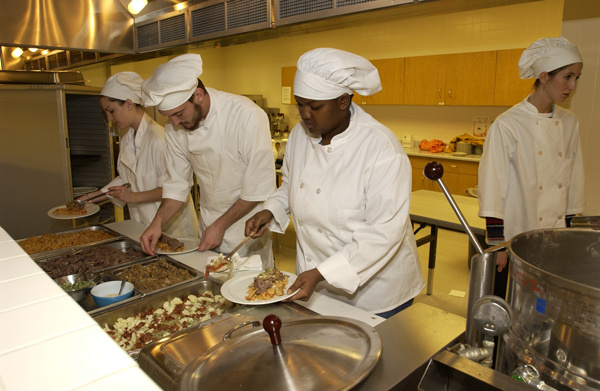 Service-learning, aka learning through service, is a way students enrolled in dietetics classes can apply what they are/have learned to real-life situations as they work to meet the needs of a community agency/organization. 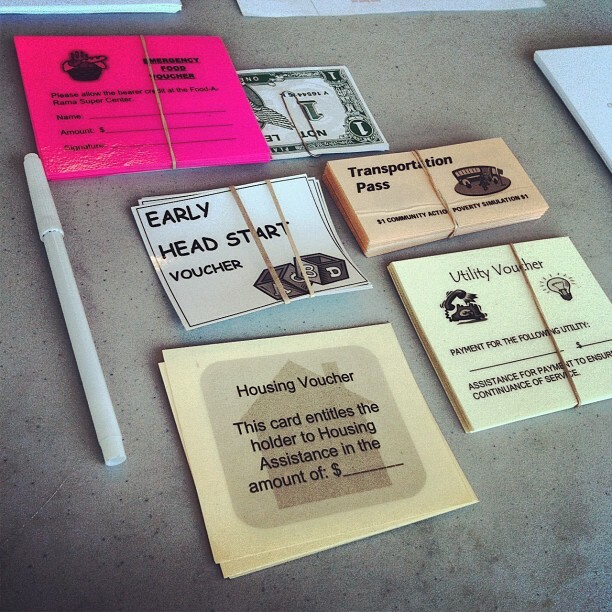 By linking academic learning to community service, service learning promotes civic engagement. 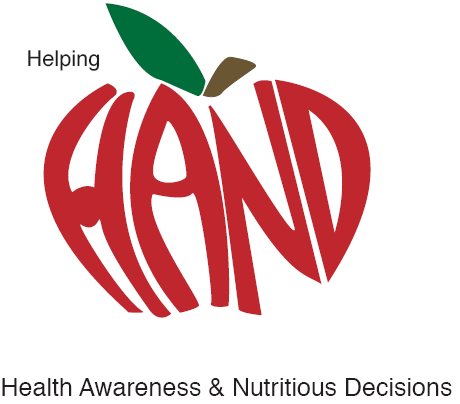 In nutrition education, civic engagement in the community can thoroughly expose students to important public health issues like evidence-based practice, advocacy, cultural aptitude, insurance, community policies, and aspects that distinguish service-learning from other forms of volunteer experience. When used effectively, service-learning provides the experiential, reflective, and problem-based inquiries that have been shown to facilitate students’ sustained learning. Service-learning meets the public’s expectation for increased accountability from institutions of higher education to document that students are actively learning and being prepared for their chosen career in nutrition. Service-learning is a mutually beneficial experience. The effectiveness relies on the partnership of academic-based and community-based practitioners to guide students in processing information through continuous reflection and critical thinking. Guided reflections reinforce students’ intellectual sense-of-self and facilitate their understanding of the contribution they can make through their chosen profession to the immediate and global community. 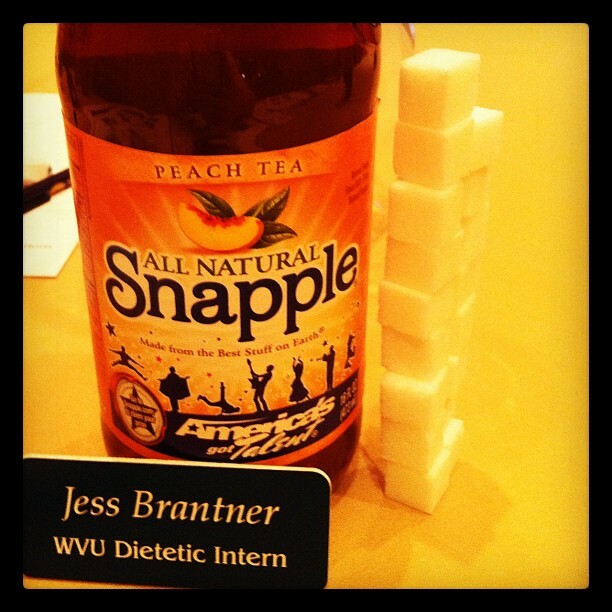 Service-learning is an opportunity for students to gain dietetics-related experience. The ways in which students in dietetics and the community-at-large can benefit from service-learning through increased understanding of nutrition programs, food systems, and group/client interactions is clear. Although the intent of service-learning for the student is to instill a value of civic engagement and enhance learning, an additional benefit of service-learning experience can assist them in developing dietetics-related skills that would result in strengthening their DI applications, and increasing their potential for becoming effective interns. The demand for DIs has increased drastically since 2003. However, the supply of internships has not kept up with demand, so currently the rate of acceptance into Dis is approximately 50%. Many well-qualified students do not get matched to an internship because of the shortage of internships. In fact, ACEND now provides data on internship availability relative to positions available on the AND website so students in DPDs are informed of this situation. The AND is addressing the internship shortage with a new route for obtaining supervised practice experience- the Individualized Supervised Practice Pathway (ISPPs). The ISPPs are offered by accredited DPDs (Didactic Program in Dietetics), DIs (Dietetic Internships), and Coordinated Programs that choose to offer ISPPs. Students who are not matched with an internship through the regular application process, those who hold a doctoral degree and overseas RDs are eligible to apply for ISPPs. How service-learning can be incorporated into courses. One way to provide students with dietetics-related experience in actual practice settings without burdening RDs is to provide students with service-learning opportunities in undergraduate courses. Many universities have offices and personnel with service-learning expertise dedicated to assisting faculty in implementing service-learning. Service-learning can be integrated into semester-long courses as a requirement or offered as an added component to a course for which participating students receive additional academic credit. It is important to remember that the purpose of service-learning experience is to instill a sense of civic duty in students and making them aware of the inherent value of their contribution to the community. This way they can enrich their classroom-learning experience. Service-learning experiences are intended to be mutually beneficial rather than “mini-internships” that provide training to students. As students complete their service-learning experience with an understanding of the importance of service and the realization of how providing service enriches their lives, they also will be well-prepared for success in their DIs and professional careers. Shack Neighborhood House is one of the organizations in the Morgantown, WV area that WVU Human Nutrition & Foods does service-learning opportunities with. With hunting season right around the corner, you just might find a little venison, also known as deer meat, finding its way on to your dinner plate. Venison is lean and great source of protein! How you should choose venison? Well, it’s available fresh or frozen. But, for the most flavor, look for dark, fine-grain flesh and always check the sell-by date. 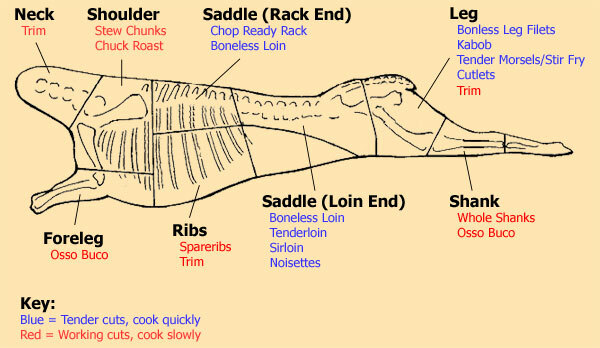 How to store your venison? Venison will stay fresh in the refrigerator for 2-3 days. It can also be frozen for use within 3-6 months. How to use your deer meat? Venison jerky is easy to make and delicious. 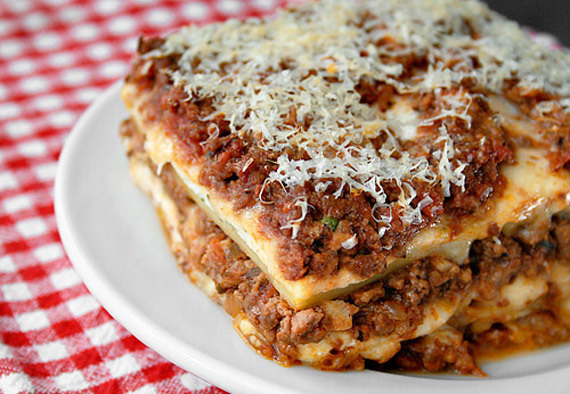 You can also try substituting venison for ground beef in recipes like lasagna and chili. Mix ingredients. Roll out into sticks about 11/4 inches in diameter. Wrap sticks in wax paper and placed in refrigerator overnight. Bake in a broiler pan at 225 degrees for 11/2 hours. Turn. Bake for another 11/2 to 2-1/2 hours. Combine all ingredients, mixing well. Stuff into white, plastic hamburger bags. Fry or bake as loose, crumbled sausage. Combine all ingredients, except venison. Remove one-quarter of the combination and retain separately as finishing sauce. Stir venison cubes into remaining marinade. Pour everything, except the finishing sauce, into a freezer bag. Store both in refrigerator overnight. Place venison cubes into baking pan that has been sprayed with non-stick. Bake for 30 minutes at 350 degrees. Pour finishing sauce over venison cubes. Bake for another 30 minutes. Cut steak in 1 inch cubes and dredge with flour. Brown meat cubes on all sides in hot oil. Place in Crock Pot add water and salt. Place on high one hour, low for approximately 6 hours. Add green peppers and pineapple chunks to meat. Cook one hour longer. On stove top prepare serving sauce: Combine all ingredients and cook until sauce is clear and thick. Pour over meat mixture and heat until ready to serve. Serve over Chinese noodles or cooked rice. Take a clean shot. A hunter’s duty is to ensure the animal’s death is as quick as possible. A clean, ethical shot will prevent the animal from running too far and ruining the flavor of the meat. Dress it fast. “Heat will ruin meat faster than anything,”. It’s important that the deer is frozen as soon as possible. Clean it well. No one wants hair in the meat. I recommend giving the meat a thorough washing to get all the hair out. Trim the fat. The not-so-great gamey taste comes from the fat. Trim it off and avoid that unappetizing flavor. Supplement the fat by adding butter or cooking oil. Lower the temperature, extend the cook time. Venison have a lower fat content, therefore need to be cooked at lower temperatures for longer periods of time to get the optimum flavor. I’m a fan of using deer meat for soups, Crock Pot recipes and roasts. Use more meat than normal.When substituting venison for beef in a recipe, more venison than listed is required. A beef steak is typically a half inch. A venison steak should be between 1 inch and 1 3/4 inches to get the same taste. A balanced diet doesn’t have to be bland and boring. Some natural flavors will give your menu a healthy, tasty kick. What’s In There? : A two-teaspoon serving of cinnamon has 12-15 calories. Cinnamon is a good source of manganese, calcium, iron, and fiber. Pros: Cinnamon was long used as a medicine in ancient times because of its anti-clotting and anti-microbial properties. Its scent has also been shown to boost brain function. Choosing and Storing: You can purchase cinnamon in stick or powder forms. Sticks tend to last longer, but the powder has a stronger flavor. Store cinnamon in cool, dry place. Sticks can be kept for up to one year and powder for six months. Unless you entertain an army of applesauce eaters, stick with smaller quantities. Using: Start your day off by adding cinnamon to your toast or oatmeal. Or add some spice to a black bean burrito with a dash of cinnamon. Beyond everyone’s favorite toast and pie recipes, cinnamon can be used to kick up your curry or add flavor to black bean burritos. Synonymous with cold weather treats such as hot apple pie and homemade applesauce, cinnamon’s fame isn’t just for its flavor. The spice’s medicinal qualities have been well-documented. Cinnamon’s essential oils are considered anti-clotting and anti-microbial and shows promise in improving insulin resistance. Cinnamon comes in different forms!! Just when you think it’s hard enough being a woman. Now, studies have shown why we women have trouble keeping the LBS off… With the winter months and holiday seasons right around the corner, see how and why it’s becoming harder and harder for women to keep our “girlish figures” going…. Sweet potatoes are a Native American super food that are nutrient-packed plants with orange or yellow flesh. They’re named for their sweet flavor caused by an enzyme that converts the potato’s starched into sugar. Can you believe that a ½ cup serving of sweet potatoes has 90 calories and is an excellent source of beta-carotene vitamins A and C.
HOW TO CHOOSE: Select sweet potatoes that are firm and smooth and avoid ones with bruises or cracks. Also avoid choosing from a refrigerated display as the cool air can change the flavor. HOW TO STORE: Store your sweet potatoes in a cool, dry place just like regular potatoes. Use room temperature sweet potatoes within a week. 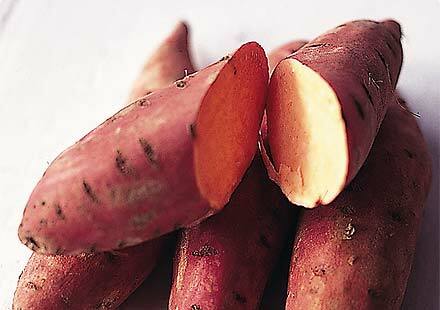 HOW TO USE: Whenever possible cook sweet potatoes whole to retain the nutrients before peeling. Serve in place of baked potatoes or get creative with a recipe such as sweet potato pancakes. 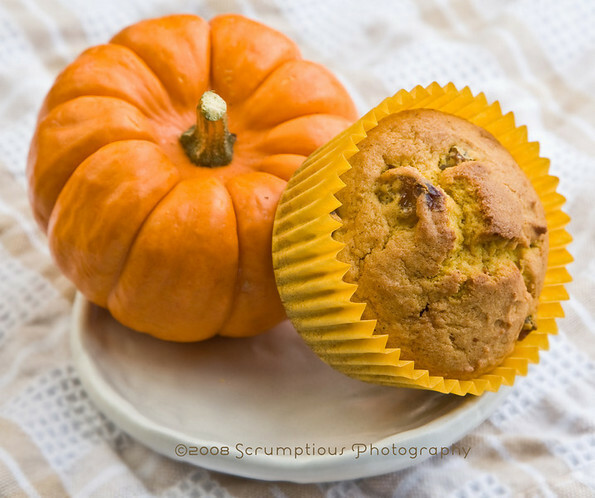 Now, I know that everyone loves pumpkin pie around this time of year but, how about opting out that pumpkin for sweet potatoes? Though traditionally considered a Southern or ethnic dish, particularly in African-American and Latino households, sweet potato pie is gaining traction as a Thanksgiving side. 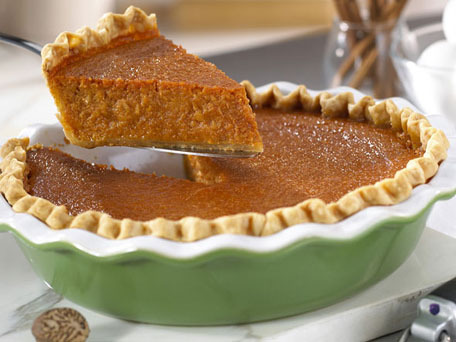 One of the reasons sweet potato pie is offered as a pumpkin pie substitute is that the pies are similar in color and use mostly the same ingredients. The main difference is texture and taste. Sweet potatoes are not yams. They’re not even related. Sweet potatoes originally hail from Africa. 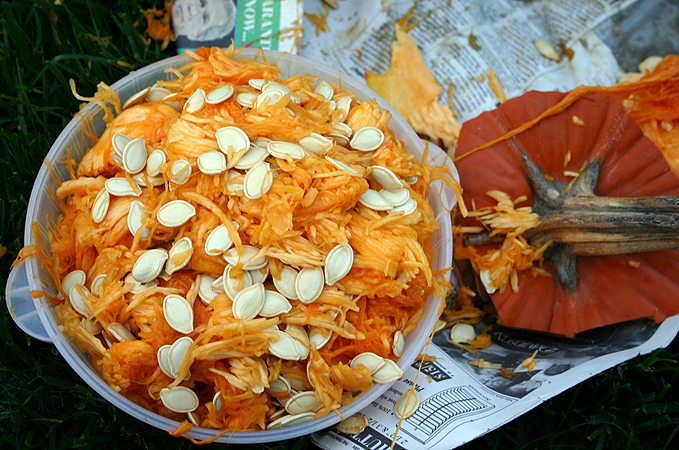 Pumpkins and sweet potatoes are great sources of vitamins A and C and other nutrients. While the fat and cholesterol levels are about the same, depending on the recipe you use and whether it is homemade or commercial, the calories and other nutrients can vary widely. Roll out dough on a floured counter. Don’t overwork it. 2 large sweet potatoes (roasted) or 1 small roasted long-neck pumpkin (press excess liquid). 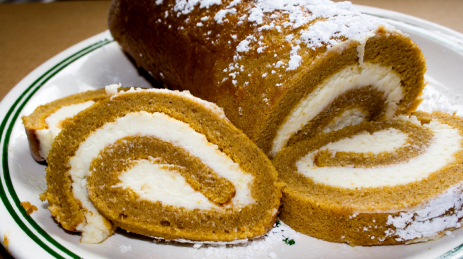 You will need about 1.5 cups of potato or pumpkin puree. Position rack in bottom third of oven; preheat to 400 degrees. Place puree in large bowl. Whisk in brown sugar and next 4 ingredients. One of the most nutritious vegetable options out there, Swiss chard is also one of the most ignored. 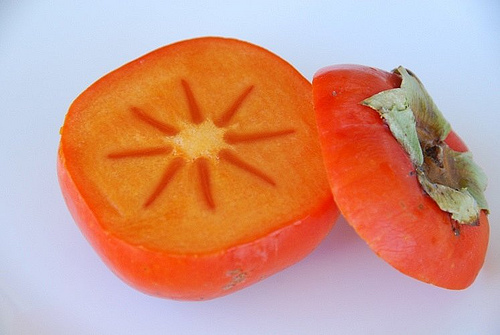 Its flavor, similar to beets, usually holds equal parts sweet and bitter. NUTRITION: At 15 calories per half-cup serving, Swiss chard packs one heck of a healthy punch with vitamins K, A and C and phytonutrients. HOW TO CHOOSE: Always buy Swiss chard from refrigerated displays to ensure freshness. You want to choose vivid green leaves with no signs of wilting. HOW TO STORE: Don’t rinse Swiss chard before storing because it will lead to spoilage. Tightly wrap it in a plastic storage bag and keep it in the refrigerator where it can stay fresh for up to five days. HOW TO USE: This is one of the few veggies that you can boil without losing nutrients, and it brings out a sweeter taste. To serve, toss with your favorite dressing. Healthy Swiss Chard just picked! While Swiss chard is a great vegetable to eat raw in salads and sandwiches, this versatile and nutrient-concentrated vegetable can serve as a great addition to most any cooked recipe. Yet, like with all foods it is important to consider how cooking can affect its nutrient content, taste, texture and color, so that you can insure that you are receiving the very best that this leafy green vegetable has to offer every time you eat it. While there are limited research studies on how to cook Swiss chard to maintain its optimal nutritional value, published studies all support what we emphasize on the World’s Healthiest Foods website: short cooking times are the best. Swiss chard is a power food, a storehouse of many different vitamins, minerals and nutrients. In fact, based upon the nutrient rating system we developed at the World’s Healthiest Foods, Swiss chard is an excellent source of 9 nutrients, a very good source of 7 nutrients and a good source of 7 nutrients. Swiss chard is a nutrition star! 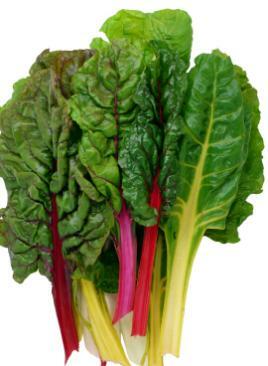 (link to either Food Rating Table or Nutritional Profile for chard). As a member of the goosefoot family of plants (also called the chenopod family), Swiss chard is in the company of and beets (which originally and still grow wild around parts of the Mediterranean), quinoa (which originated in the valleys of the Andes and was a staple food for the Inca civilization) and spinach). Chard’s unique heritage as a member of the goosefoot family is one of the reasons it is so valuable nutritionally. As noted above, cooking Swiss chard for minimal amounts of time is key to maximizing it nutrient profile. This is because many of the nutrients concentrated in Swiss chard are susceptible to damage from heat and water. Looking to the 12 nutrients for which Swiss chard is an excellent source, let’s take vitamin C as an example of how cooking may impact the nutrient content of this vegetable. Studies that have examined the impact of cooking upon vitamin C have shown that short-duration cooking (3-6 minutes) resulted in vitamin C loss of 25% or less while studies involving longer cooking times (10-20 minutes) have shown that 50% or more of the vitamin C may become lost. How important is it to preserve this vitamin C? Consider these numbers: in one cup of chard, costing you only 35 calories, there are 32 milligrams of vitamin C. These numbers rank chard right alongside of freshly squeezed organic orange juice as a source of vitamin C! Cooking the chard for too long is like leaving half of your freshly squeezed organic orange juice sitting in the glass. Other examples of how cooking can impact the nutrient content of Swiss chard involve the minerals in which Swiss chard is concentrated. Included in chard’s “excellent amount” category are the minerals potassium and magnesium, and both are particularly vulnerable to reductions from cooking. Even blanching for several minutes may greatly reduce the content of these minerals. Applying insights gleaned from studies focused on nutrient losses from cooked spinach, where blanching for several minutes resulted in a reduction of over 50% of potassium and approximately one-third of magnesium, we once again see how minerals are at risk for nutrient loss during cooking and how important using minimal cooking times can be. Swiss chard is one of the vegetables that contain oxalates, naturally-occurring substances found in plants, animals, and in humans. Although there are a few, relatively rare health conditions that require strict oxalate restriction (hypertext to oxalate article here), for the vast majority of individuals, oxalate-containing foods should not be a health concern. While we have not seen research on cooking, Swiss chard, and oxalates, there is some research on this topic with another chenopod family vegetable, spinach. Research has shown that the boiling of spinach in large amounts of water helps decrease the oxalic acid content by as much as 50%. While the rich colors of Swiss chard can be attributed to a host of different phytonutrients, chlorophyll is a major contributor to its rich green color. Chlorophyll contributes a green color to vegetables and plants since it reflects sunlight at exact appropriate wavelengths for our eyes to detect them as green. Prolonged cooking results in a dramatic loss of chlorophyll. Excessive heating results in the removal of the magnesium from the center of the chlorophyll molecule causing it to turn into a molecule called pheophytin, which results in a noticeable change in color from from bright green to olive-gray. Therefore, to maintain the vibrant green color of Swiss chard and the potential health benefits supplied by the chlorophyll phytonutrients it is important to cook it for minimal amounts of time. In the world of processed food, you can never trust your senses to tell you whether a food is nutritious or not. There are too many ways for a food manufacturer to trick your taste buds and your eyes. There are artificial flavors and artificial colors in the majority of non-organic, processed foods. But in the world of cooking and organically-grown food, it is amazing just how much you can trust your senses! You can depend on your taste buds and your eyes! 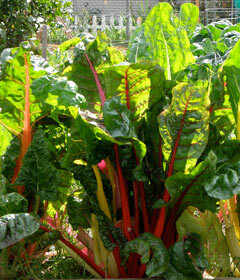 When chard color starts to look lifeless, guess what? The chard is losing something – in this case, the magnesium found in its chlorophyll. One of the reasons that many people don’t like green leafy vegetables is that they equate these foods with a soggy, limp texture that also can contribute to a taste profile that is compromised. Yet, this texture and taste are not inherent to the vegetables themselves but are caused by the overcooking that the vegetable has experienced either in the home or in a restaurant. Therefore, by only cooking Swiss chard for only a few minutes as opposed to a longer period of time, you will not only be able to enjoy the nutrients inherent in this vegetable, but its great taste and texture. Once again, your senses can be your guide here. If you had a plant at home, or in your garden, and it started looking limp, you would automatically think that it had either too much water, too little water, or had been exposed to too much sun. Assume the same thing about the the chard you are preparing: too much heat, too much contact with boiling water or steam and you’ll observe the exact same consequence. To maximize the content of the nutrients of which Swiss chard is concentrated, quickly cook this leafy green vegetable, covering the pot or pan. Steaming for 2-3 minutes is the method we highly suggest. Not only will this method help to retain nutrient content, but will provide you with a vegetable bursting with taste, great texture and bright color. Swiss Chard growing in the garden! 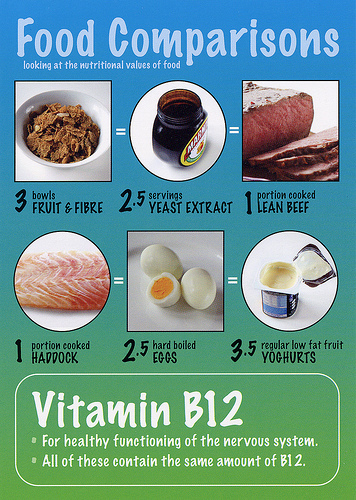 Experts believe the recommended dietary allowance should be higher for vitamin B12. The 2010 Dietary Guidelines included vitamin B12 as one of the nutrients in which supplementation may be warranted for older individuals. Because many people over the age of 50 lose the ability to absorb vitamin B12 from foods due to a decreased production of hydrochloric acid in the stomach, the guidelines recommend people in this age bracket consume a B12-containing supplement for B12- fortified foods because those sources don’t require stomach acid for absorption. The RDA is 2.4 mcg/day but some nutrition experts are questioning whether that amount is enough. Normal ranges for B12 vary slightly among different labs and can range anywhere between 200 to 900 pg/mL. The general consensus is values less than 200 pg/mL constitute a B12 deficiency. B12 screening typically now relies mainly on serum B12 values, one potential solution is to aim for a higher serum B12 level within the normal range. Research links B12 and brain function over the years. Declines in cognitive function can be a possible fore-runner to Alzheimer’s disease, a direct link between vitamin B12 levels and this disease’s development is lacking. Brain atrophy is associated with Alzheimer’s disease, it’s theorized that higher B12 levels may modify risk. A cause-and-effect relationship between B12 and depression remains elusive, but an association between intake and incidence of depression has been shown. 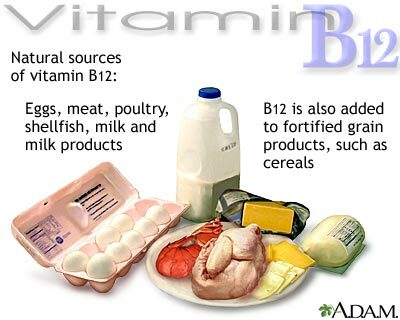 Vitamin B12 is important for aiding in osteoblasts and lowering blood levels of homocysteine, which may interfere with collagen cross-linking. Remedying B12 deficiency may be a factor in reducing osteoporosis risk. The bottom line is that when RDs are counseling patients or clients, regarding their vitamin B12 status, advise anymore with blood level less than 350 pg/mL to take a B12 supplement or, at the least, a MVI formulated for people over the age of 50. 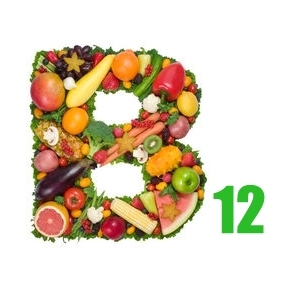 For all others, encourage them to eat routinely B12-containing foods, including at least some B12-fortified foods.